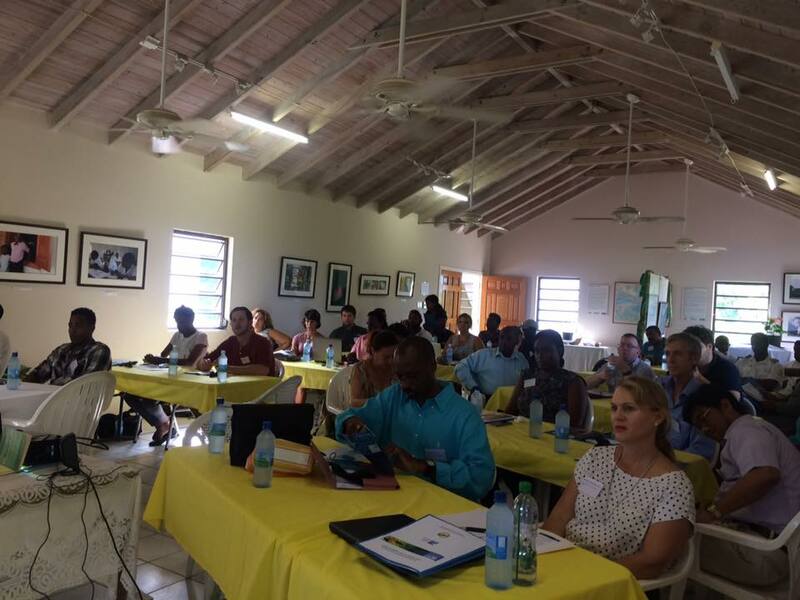 Montserrat is hosting the 2016 International Workshop of the Invasive Alien Species (IAS) Management in the Caribbean UK Overseas Territories this week. This workshop, funded by the European Union through the BEST 2.0 programme and hosted by the Montserrat National Trust, runs until October 20, 2016. BEST 2.0 is a scheme for biodiversity and ecosystem services in the territories of the European overseas. More than 25 attendees from Caribbean Overseas Territories, Antigua & Barbuda, the USA, and Saint Lucia are participating. (d) National invasive alien species strategy development. The workshop is an opportunity for the territories who represent national trusts, ministries of agriculture, environment and police, to share experiences and agree practical ways forward with these 4 issues. The realisation of more cross sector/cross departmental and cross territory implementation of IAS management was recognised during the EU BEST 1 project as essential if IAS management was to be sustained in the UKOTs. There will be a number of speakers on each topic to provide experience/food for thought and then specific discussions questions to answer. Expected outputs are practical ways forward (protocols, recommendations, increased stakeholder understanding and involvement) that will help all concerned provide a more robust response to IAS management in the Caribbean UKOTs. IAS management requires such cross sector management to be successful and participants will be encouraged to take any protocols and recommendations from the meeting back for discussion in appropriate national IAS fora – in Montserrat and BVI these national fora will be convened as part of the project. 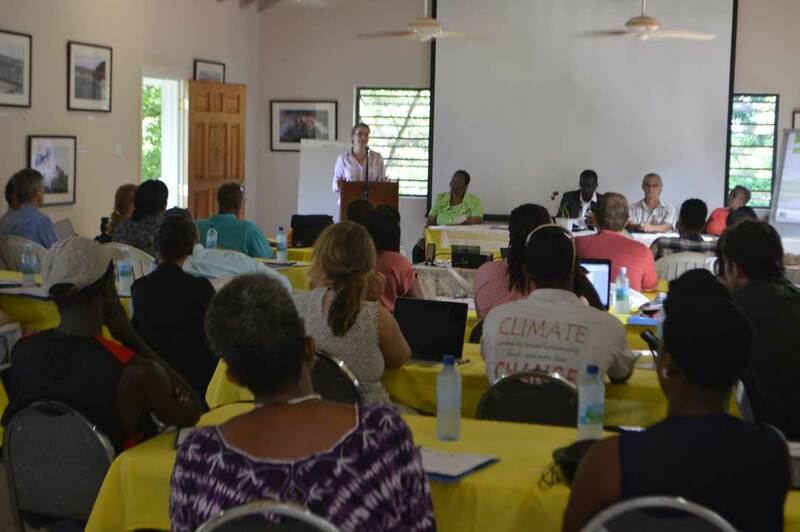 Elizabeth Radford of the Royal Society for the Protection of Birds (RSPB) said she was pleased that Montserrat had agreed to host the workshop. Montserrat was a partner in the recently concluded EC funded BEST 1 project entitled “Conserving Species and Sites of International Importance by the Eradication of Invasive Alien Species in the Caribbean UK Overseas Territories.” This is the predecessor project to this current initiative on the table before us this week entitled “ADVANCING INVASIVE ALIEN SPECIES MANAGEMENT IN THE CARIBBEAN UKOTs”. Montserrat has been a huge beneficiary to date in relation to the interventions to save our birds and addressing feral livestock issues, which thanks to RSPB has become mainstream in the work of the Department of the Environment.